What an incredible summer! It started with our Open House and more than 2500 visitors, followed by the beautiful convoy to Hessisch Oldendorf and a magnificent weekend. 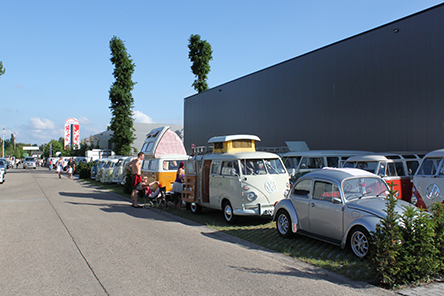 And the week after a lot of international guests, customers, fans and Volkswagen lovers who paid us a visit. Then the European Bug In, the weather could have been better, although it was a big Volkswagen party... It didn’t stop, every week there was one or another Volkswagen happening, the rhythm of our life never went that fast… And then there was Le Bug Show at Spa Francorchamps, a smaller edition than previous year, although very pleasant as always. Here and there a couple of international happenings and the summer was a complete success. Customers, friends, suppliers and fans whom we’ve met throughout the season 2013, thank you so much. It becomes each year better, where will it end? Or should I talk about the weather ? Western Europe can definitely say that we had a long hot summer since more 3 years. The weather was splendid, all convertibles were riding with open roof, ragtops open! Marvelous! With this nice weather we were busy as never before, 2013 will be a record-breaker year! The best summer ever! A dream for each oldtimer fan. As a matter of fact even the press is writing in a positive way about economy, forecasts are being updated upwards, stock-indexes are increasing. However one should remain cautious, even though a lot of work has been done. The real reasons of the crisis haven’t been conquered. There are still quite some European countries that cannot control their budget. One pin is enough to knock over the whole game. We have to stay alert. After all we mustn’t complain in “our” Volkswagen world, a niche market isn’t that subject to the economic climate. Marketing books prove it! Meanwhile some incredible opportunities regarding parts have shown up. More news in next Newsletter. As a set habit you’ll be the first to know through the BBT blog new products update each Friday, which is crucial to remain informed of our products. Let’s face autumn together, enjoying the beautiful colors of nature. A nice autumn drive? That’s not to be sneezed at. Enjoy life, experience the VW passion! On 17 September 2013 Bob’s mom “Mama Maria” has passed away at the age of 77. A very special women, who definitely may be called ‘mother’ of BBT. She was our biggest fan from the very beginning and was always a wholehearted support to our company. 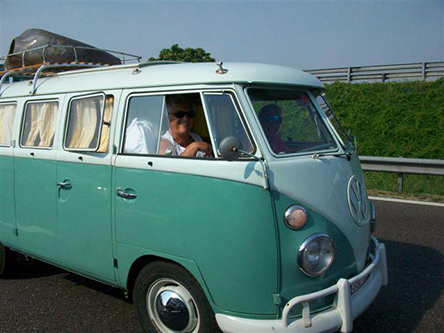 In 2010 she still drove in a split bus to a Volkswagen meeting in Italy. In 2012 she was the moving spirit behind the clearing out of the shop of friend of the house Lyle Cherry in Dallas, Texas. We believe that the Volkswagen Gods will give Mama Maria a warm welcome. We’ll remember her smile, she was definitely a person to whom it was difficult not to become friends with… Rest in peace dearest mom…. Due to changed availability we won't be able anymore to suply separate tire rings. From now on the tire rings will be available as set of 4 pieces. After more than 45 years of faithful service it is not surprising that bumpers of many Type 2 -07/64 Split buses are damaged by corrosion and parking accidents or in the worst case by accidents. Welding or pulling straight of a damaged bumpers is quite a job and we know by experience that it takes a lot of time. Thats why we have decided to present a good alternative so you can replace them if necessary. 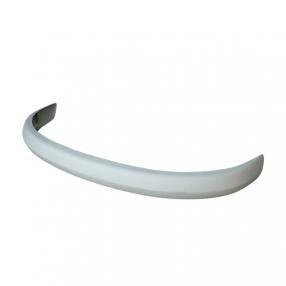 We enlist in our range European bumpers as well as Americans, with bumper guards and supports. 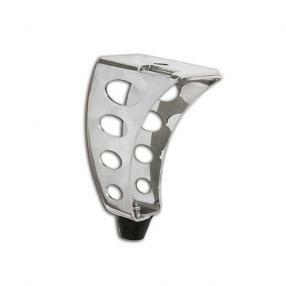 Available each from stock for front and rear side. 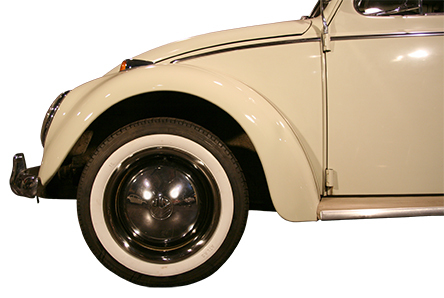 Pop-out windows are a very nice accessory which you can find on Type 1 Beetle and they are fixed on the B-pillar by means of a metallic hinge clip. 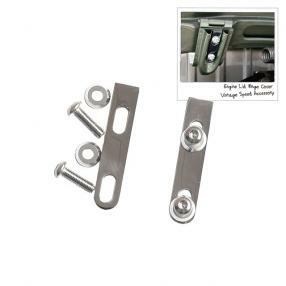 The rear part stays on its place through a hinge lock that is secured by means of a pen through the window. To protect this window against damages there is a gasket placed between this pen and the window. 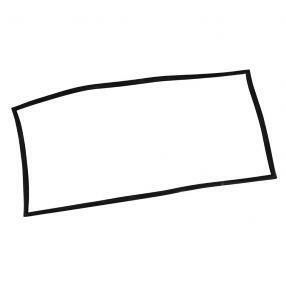 This gasket hasnt the eternal life nor do the other seals of the pop-pout window and from now on we can present you this gasket as well as the other gummi seals from stock. Gaskets are delivered a pair. Type 2 deluxe buses with sunroof and Samba buses are one of the most popular classical VW buses and many wish to possess such a Type 2 with sunroof. A classical intervention is to rebuild a combi to a Samba bus model and one went looking for a donor Samba bus to recover the roof. The demand after original authentic Samba buses is still increasing and the huge offer of better and suitable reparation plate work and better restoration techniques result that its hard to find a donor bus at an affordable price. BBT is since quite some time exclusive distributor for Europe of VW Sunroofs parts and this company had the great idea to develop a rebuild kit to Samba. 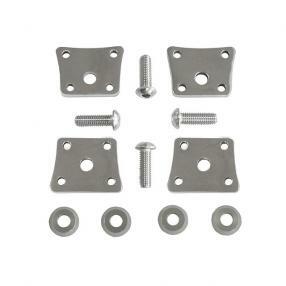 This roof kit is delivered with the metallic parts, all sunroof parts, seals, assembly parts and windows. This kit doesnt contain the headliner nor the covers. To assemble the front license plate on Type 1 and Type 2 there have been designed in the past a couple of different ways of assembly, though they werent all pretty. From now on we have a couple of new assembly tools available from stock, which have the great advantage that no additional holes must be bored in your nice chromed bumper or body. The brackets can be easily mounted on the existing bumper assembly bolts in case of a beetle and with Type 2 on the location where the front beam protection plate has been assembled. 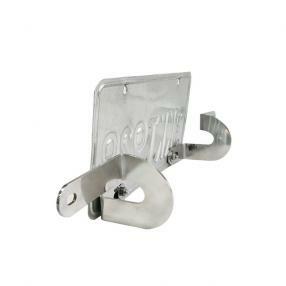 The brackets are made from polished stainless steel and delivered with assembly bolts included. The Dehne fuel gauge is already available since the fifties as an accessory for Type 1. Due to the fact that most of the VW Beetles arent originally equipped with a clear fuel indicator, this fuel gauge is quite popular. Nowadays its better not to be confronted with an empty fuel tank and thats why many people are looking for a suitable solution to install a fuel gauge in our classical cars. Vintage Speed has now an adequate solution with retro look and reliable functionality. 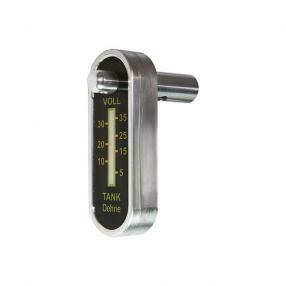 The reproduction Dehne fuel gauge can be used without problems in combination of existing floats. VDO-224-055 and for Type 1 08/62-. This tire pressure gauge is an essential part of the car equipment. One should always be on the road with the correct tire pressure. It doesnt only save the environment but its also better for your tires. BBT has now enlisted the tire pressure gauge of Vintage Speed in their program. This gauge has a nice retro finish and is easy to use with a very efficient functioning. Scale marks indicate in bar and pound/square inch. 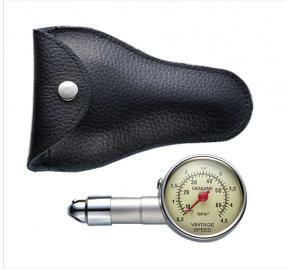 The Vintage Speed tire pressure gauge is sold each and has a nice fitting case. When you replace the mechanical fuel pump with Type 1 engines by an electrical fuel pump, you should block off the opening of the engine case, where the mechanical fuel pump has been mounted before. For this purpose Vintage Speed has made a stylish block off plate made from polished stainless steel, that BBT can deliver from stock. This block off plate is delivered with the 2 hex bolts inclusive. The seals are available separately under item number # 1690-90. 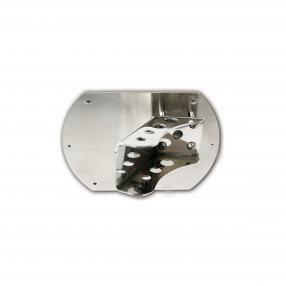 With this oil sump plate in stainless steel for Type 1 based engines you can replace the corroded or deformed original items. The original oil sump plate can get deformed when driving over traffic islands, touching curbs and ramps, tightening nuts too hard. 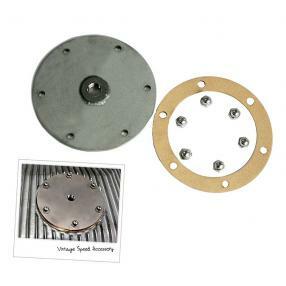 All these problems are in the past with the Vintage Speeds RVS oil sump plates and you can avoid big costs as a result from oil leakage. 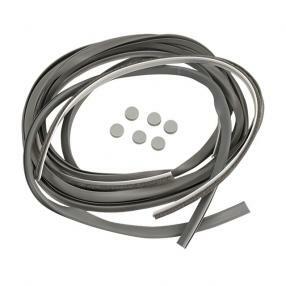 Available each from stock including 2 seals and assembly nuts. 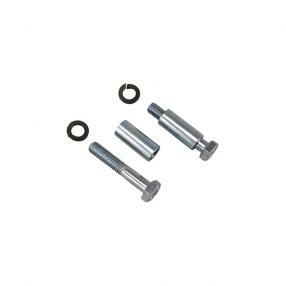 The oil sump plug is available separately under ref. # 1850. You wont get far with your classic car without proper fuel transmission. So this unit should always work perfectly. A very important item for correct functioning is the carburation. Gas consumption will increase due to heavy use and leakage and what it even worse, a fire can arise in the engine compartment. 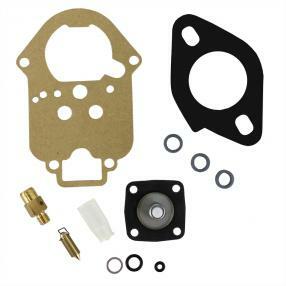 We can deliver a suitable rebuild kit under # 2181-0 for revision of the 34 ICT Weber carburetors. This rebuild kit is delivered as a set for 1 carburetor. The holes for the engine lid hinge mounting plates on Type 1 can get damaged by corrosion and/or manipulation. Resulting that the bolts cant be fixed properly and the engine lid cant be aligned correctly. 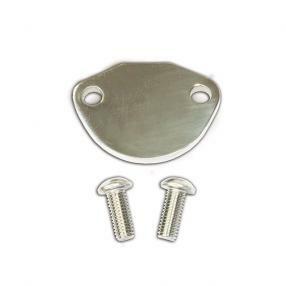 We can present you now this set of 2 stainless steel centering plates and bolts so it will resolve this problem in a quick and efficient way. 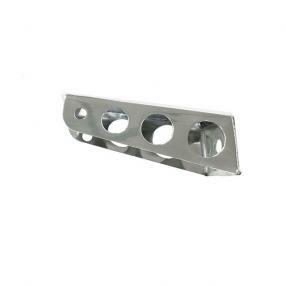 Available per set for 1 engine lid from stock. Hot summer days and cruising are going along and together with the fun factor of a great tuned engine it makes the picture complete. Though this combination can give nasty consequences such as a badly cooled engine, which can lead to some awkward situations and a jammed engine is one of them. In this case some additional engine ventilation can solve many problems and thats why were happy to present this solid and nice looking solution. The engine lid extensions are fixed near the rear lid lock and they create an opening for ventilation of about 12 cm at the underside of the engine lid. For a lot of driving pleasure and a good control of the engine performance one of the most installed measuring instrument is the tacho meter. It is important for a good comfort that gauges are installed on the dashboard in a good and esthetic way. 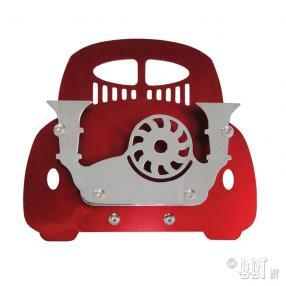 BBT can offer you now the tacho stands of Vintage Speed that give a nice custom finish. 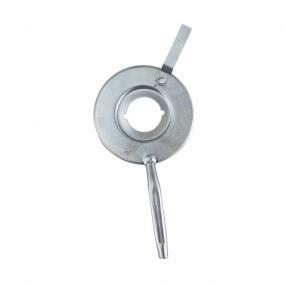 # 2603-100 and -101 are for the 3 3/8 inch diameter tacho meter, whereas # 2603-105 and -106 are designed for the 5 inch tacho meters. The tacho stands are sold each inclusive mounting material. This tacho stand has only been designed for Type 1 53-57 model, where the assembly plate must be fixed on the place of the dashboard speaker grill. It is needless to foresee additional perforations in the dashboard. 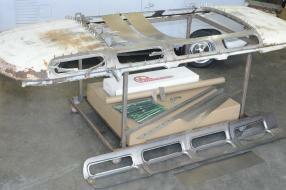 We have this tacho stand available for LHD as well as RHD version. Sold each mounting material inclusive. We have this nice Vintage Speed stainless steel roof rack of good quality already in our assortment since 2007, but only for Type 1 beetle. 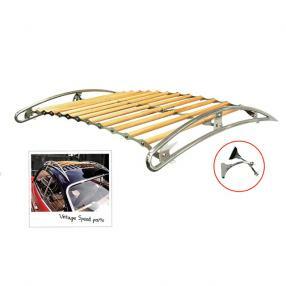 The success of this roof rack in combination with the limited offer of roof racks for Type 14 Karmann Ghia has incited us to take also the model for Karmann Ghia in stock. From now on weve got them available from stock in a transport safe packing, accompanied with clear mounting instructions and all the necessary parts for an easy assembly. Models are laser cut and have a nice coat. Available each for T1 split beetle version and Type 2 splitbus version. Campers are often foreseen with some practical louvred windows, that consist of different louvres placed one above another in a frame. After many years the seals can get damaged by UV rays and heavy duty and they need to be replaced in order to prevent leakage and damages by one to another striking louvres. From now on BBT can present these seals in a set for 1 window from stock for Type 2 -07/67 under # 7414-100 and for Type 2 08/67-07/79 under # 7514-100. The engine compartment of Type 1 and Type 2 buses is sealed by means of a rubber seal that is located around the engine compartment opening. This seal is highly subject to abrasion due to variable weather conditions and heating and cooling of the engine compartment. Since quite some time we had an all-round solution available for both types to replace the seal, though the profile was not entirely correct. In the mean time we kept looking for an adequate alternative and were happy to present now the correct profiled seal. 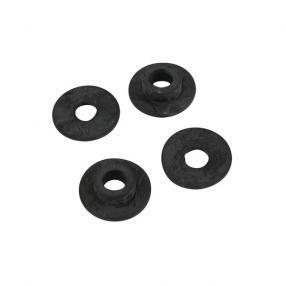 For Type 2 03/55-07/67 its available under item number # 7450-100 and the engine lid seal for Type 2 08/67-07/70 is available under part number # 7533-000.